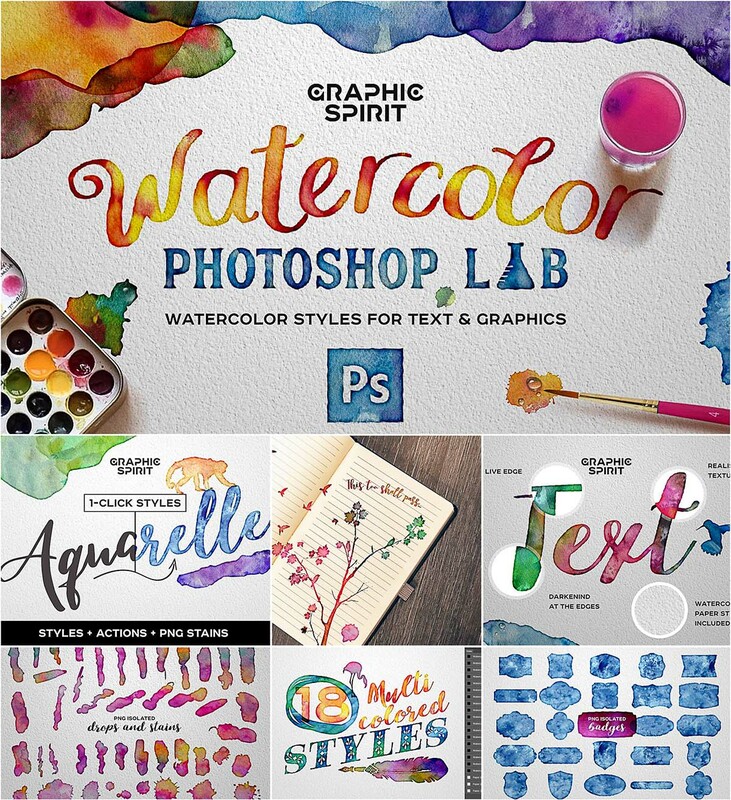 Watercolor painting effects can be applied to text and to graphics, to any layer. Realism is supplemented by the effect of shading on the edge of the paint image and action, making a rough edge. File format: .asl, .png, .atn for Photoshop or other software. Tags: brush, effect, photoshop, style, texture, watercolor.